San Francisco (Obama.net)- The problems associated with the foreclosures done over the last few years are now more than well known by American citizens. But what is not known is why the issues came up by such a sophisticated system. The answer is that banks made sure that the foreclosure procedures went through as fast as possible. 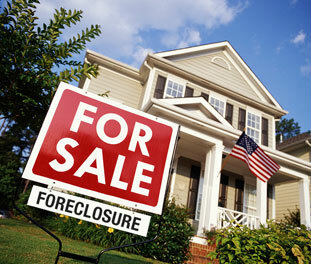 Two millions homes have already been foreclosed and another 2.3 million are nearing the process. Banks wanted to get through the cases as fast as possible so they instructed companies taking care of the cases for them to get them over with as quickly as they could. The different law firms raced to see who could settle the most cases and make the most money from the banks. In addition, the companies who did the paperwork were also competing to get the most done. The main problem here was that banks were not paying lawyers and the other workers by the day or by the hour, but by the case. Thus, the way to make money was not to do a good job, but simply to get the job done. Adding to the problem was that some lenders even penalized workers if the process went to slow. The big banks were all too intent on seeing the problems go away fast. Attorney Michael Alex Asylik said that “the problem is when you try to fight back against the machine, well, it’s a machine. You have to be able to get your case off the mass production line and to someone who will take the time to read what they file, but in many mortgage firms that person doesn’t exist.” Asylik was referring to the thought that many could fight back against the foreclosure process. Reports indicate that everyone involved in the process made more money by completing more foreclosures in the short amount of time. The problem clearly lies with the system that was in tact. One instance of unusual business was David J. Stern’s law firm in Florida. Instead of charging by the hour, 12 people took care of 12,000 cases for $1,300 per case. The one law firm alone took care of more than 70,000 cases in 2009, a large portion of the two million total cases. Much like many other firms, Stern’s had no organization and was essentially a factory line to get as many cases done as possible daily. Other problems lay with using bonus incentives to get cases done faster, penalties for each day a case wasn’t finished, and hiring workers with no experience.